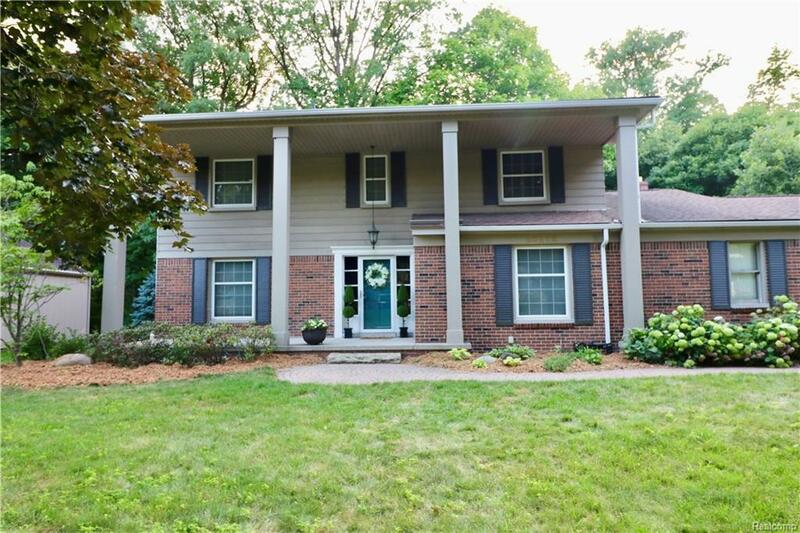 GORGEOUS WELL MAINTAINED HOME ON PRIVATE WOODED LOT W/ CREEK. HUGE EAT-IN KITCHEN W/ DBL OVENS, GRANITE COUNTERTOPS LARGE ISLAND & SS APPLIANCES. HARDWOOD FLOORS THROUGHOUT. NEWER WINDOWS, FURNACE & CENTRAL AIR. 4 VERY SPACIOUS BEDROOMS INCLUDING MASTER W/ WALK-IN CLOSET. TWO STORY DECK OVERLOOKING BEAUTIFUL WOODED LOT W/ COMMONS. FINISHED WALK OUT BASEMENT W/ WINE CELLAR. UPDATES GALORE! PRICED TO SELL! THIS WON'T LAST LONG - HURRY! AGENT IS HOMEOWNER. EXCLUSIONS. IDX provided courtesy of Realcomp II Ltd., via The Luxe Agency Llc and Realcomp, ©2019 Realcomp II Ltd. Shareholders.